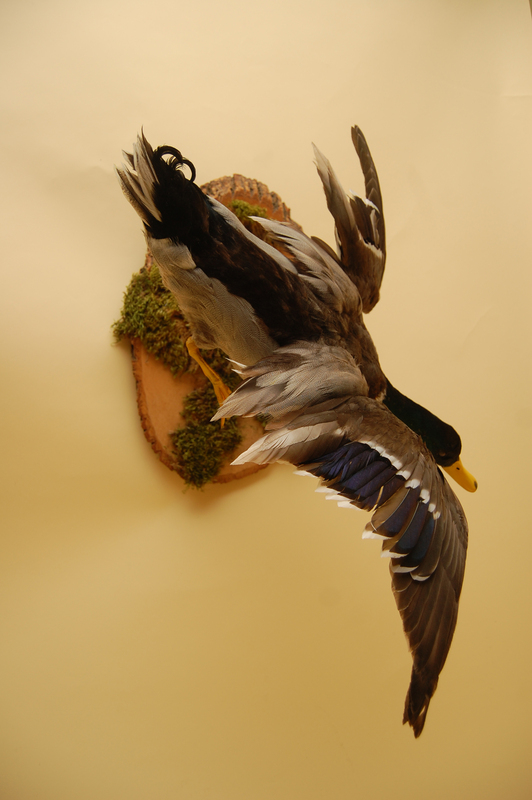 Here's a quickie post about my most recent quacker. 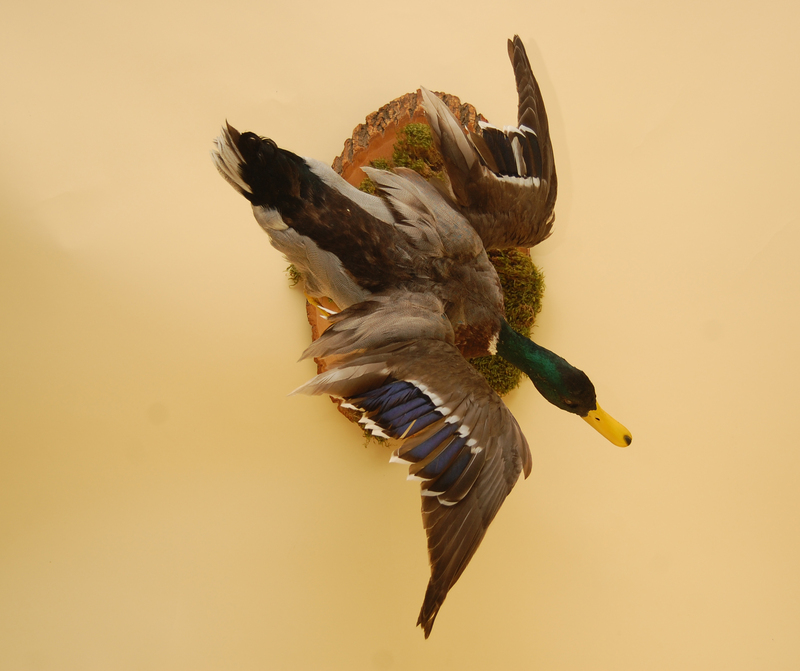 A new client brought this gorgeous Mallard Drake to me a few months ago and waited patiently for his mount while I cruised, moved, etc. He used the breast meat to make a lovely dinner for himself and his gal, which always makes me happy to hear. Ducks are challenging but I love working with them. The grease in the skin makes them much more labor intensive than a chicken or pheasant (which is why I think I need to recalibrate my pricing on birds) but as a result their feathers never seem to dry or get brittle like most of the chickens I work with. Such handsome creatures. There are scores of them at FDR Park where I like to run my dog, and I can't help but quack at them every time I pass by them with their cute duckie butts wiggling in the water. Some people believe that the number of curly-q tail feathers corresponds to the duck's age, but I don't know if there's any truth to that. Enjoy your new home, duckie!